Individuals, regardless of political bent, rarely incur deficits in their home on an annual basis. Yes, it’s more of a challenge for people who are poor or who have financial restraints to balance their budgets compared to those who have much deeper resources, but ultimately, they must balance their budgets. These days, it seems someone’s life is measured by how well they’ve managed to control their financial impulses, regardless of what political stripe they wear. We all have to make choices, some painful and awkward, that send us on the proper path towards financial independence. To fail in this means surrendering our lives to bankers, pay-day loan companies and credit card usury. 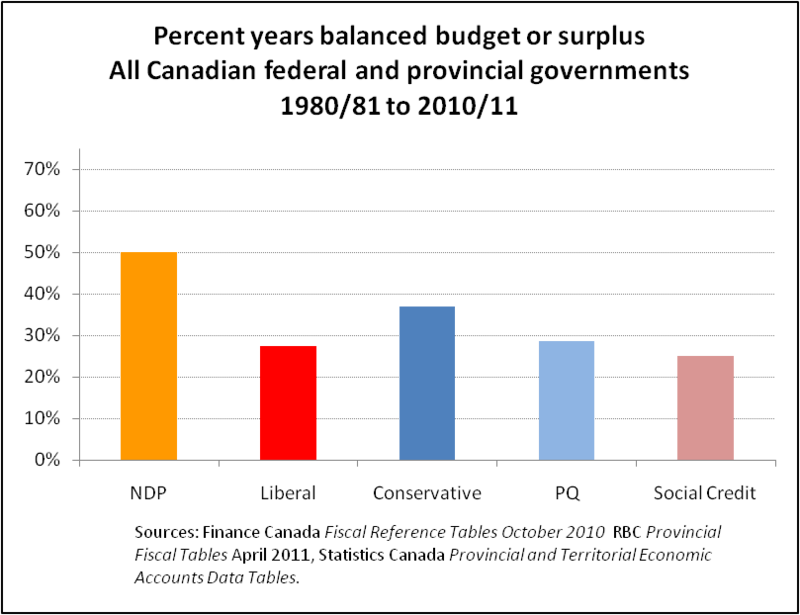 Which makes the whole discussion about deficits in Canada at the federal level very confusing for the average Canadian. Stephen Harper hasn’t been able to create a surplus in nearly all the years that he’s run Canada and yet claims he’s the only one capable of running the country from a sound fiscal perspective. This is like claiming it’s OK to run to the credit card company to finance your mortgage. 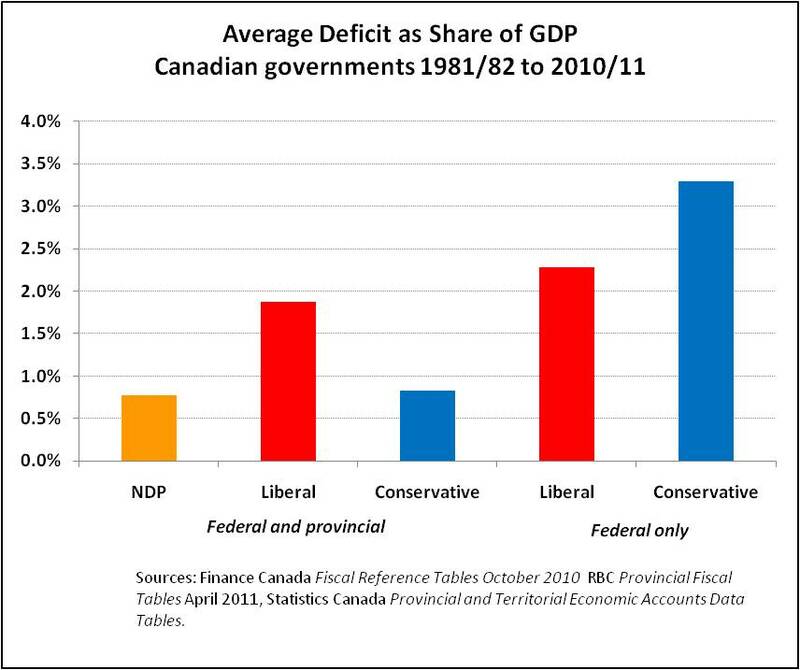 Under Stephen Harper the fiscal deficit has EXPLODED and he’s asking us to allow him to continue? Justin Trudeau says it’s OK to run up deficits in the wake of the election because, well, we may have to. The only ‘positive’ legacy the Liberals have are the years when Paul Martin was finance minister and Canada had half a chance of emerging from the financial restraints imposed by mafia-like organizations like the Moody’s or Dominion Bond Rating Service. I personally believe that every financial house should be in order. We should encourage saving, reward investment in our community and our peers and grow from our own pool of financial resources. It must start at the federal level and the federal government needs to HELP all other levels of government and even households get their budgets in order. But they MUST END passing the buck to lower levels that are not in a position to finance projects and services for all Canadians like the Harper government has for the last decade. Ultimately, those in charge of the federal budget should be able to balance the budget any time, regardless of the market circumstance, by making sure they ‘pull the right levers’ and make prudent investment choices with the money provided by hard working Canadians. The hundreds of billions proposed for military expenses like the failed F-35, Canada’s involvement with crimes against humanity via Saudi Arabia and General Dynamics, etc. Cancellation of the billions in subsidies to Canada’s resource and extraction companies (especially oil) in favour of more universal programs for any entrepreneur or small business. Termination of tax deductions that only benefit the elite (eg. sports and music programs for kids) or carbon wasters (eg. gas write-offs come tax time). Endless armies of cabinet ministers and their volumes of staffers created by Stephen Harper over the last decade, costly taxpayers millions on needless bureaucracy. See, a balanced budget is just about setting different priorities and attacking those expenses or programs that make no sense to the AVERAGE Canadian. Do you want a Canada that only looks out for the 1% or one that balances support for all industries with support for individuals? Do you want a Canada that supports all individuals, regardless of their ‘status’ as a Canadian, be it rich, poor, etc? When politicians get into fisticuffs about who can run up the bigger deficit, just ask them what largesse Stephen Harper has created and how quickly they’ll be able to take it down. Old white men may be the deciding factor in this election. EKOS data shows that they are an important deciding factor, especially those men who are 65 or older. It’s more than likely that ALL of us know someone in this category. They just want to be left alone when it comes to government poking around, they’ve had enough of intrusive politics to last a lifetime (and let’s face it … they have) and they’re almost always voted Conservative because they play into that popular Stephen Harper meme that demands ‘stability’ and ‘staying the course’. Of course, if your dad or older brother or uncle or teacher is just like my dad, MOST of their news and content comes from mainstream media, a disturbingly tentacled organization owned and operated by a handful people that also profit (coincidentally) from ongoing ads and promotions from the Stephen Harper Government (TM). They help spread the lies of Stephen Harper. They too ask those questions stupidly and idiotically repeating the meme that there couldn’t possibly be someone else in the universe that could take the reins without the country falling into the abyss. The great challenge is that they believe the lies that are spun every day. I can still hear an important father-figure saying ‘Mike Duffy is a great guy’ shortly after he ripped a new hole for Stephane Dion. The countless times I’ve also heard ‘who’s qualified to run the government’ and I shout out ‘my dog’, ‘an ant’, ‘a robot’, ‘a plant’, ‘anyone but Stephen Harper’ but it falls on deaf ears because I’m seen as being tainted the other way. And guess what? We are falling into an abyss. Privacy is no longer. Human rights, financial independence, environmental stability and the economic future of Canada have all been carved to bits so the Hair can stay in control. Beg and implore them to act and vote for their children and grandchildren and work against Harper and his machine. Remind them that you can tell Harper is lying … is when he opens his mouth. His myths about economic prowess and security for the nation are nothing but delusions of grandeur. Convince them that the future of Canada deserves something more optimistic, bright and hopeful and not dark, cynical and cheap. If they still resist, use analogy: if an old white guy were kicking a visible minority, would you report it to the police or accept $5 for looking the other way? Right now, Stephen Harper is that bully kicking at everything Canada SHOULD be and he’s bribing you with a few petty tax breaks or financial incentives that the vast majority of these people can no longer afford. 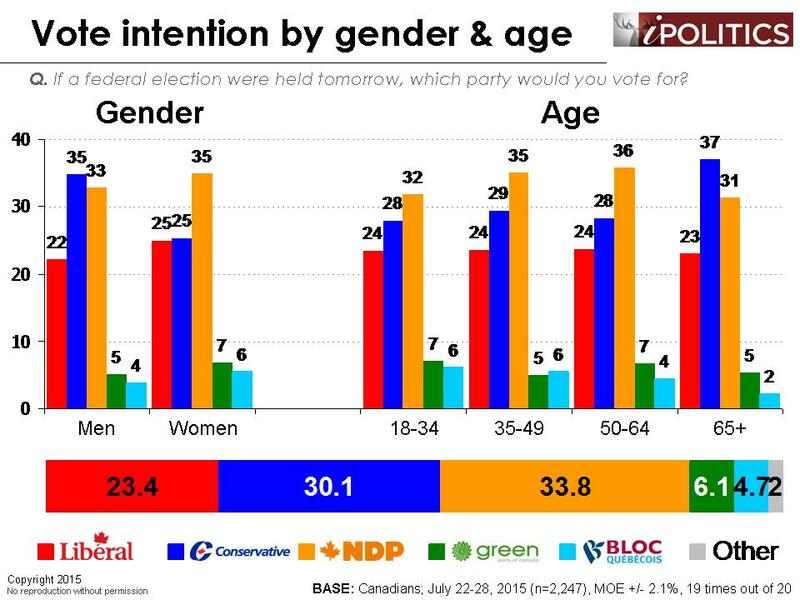 So please, do it for Canada: speak with these old white men and beg them to reconsider who they vote for. Talk about strategic voting or give them tools so they can be informed. Everyone’s future depends on it!! Speculation has it that Stephen Harper with have tea with Guv’na tomorrow (interrupting everyone’s long weekend) pleading for an election. My basic prediction is that Slippery Steve has a card up his sleeve and we will find out tomorrow what it is. Until then, let me share my theory as to what it is. I think he will call an early election, with a date that will likely fall shortly after Labour Day weekend. First, think of the context. It will be yet another twist in the endless media war that Stephen Harper is waging against Canadians and their non-Conservative, political parties. Prone to cheesy tactics, breaking the rules, cheating, lying, stealing democratic rights and various other Machiavellian schemes that would make the Prince proud, but this time, even the UN is watching him and we can expect international inspection as the date approaches. As I say, I believe that Stephen Harper and the Conservatives will request that the writ be dropped tomorrow, but that they will also stick to the ‘standard’ election time-frame of 30-35 days. It will save money. Right now, an 11-week campaign is projected to cost Canadians an extra $125 million (minimum). Not the ‘sound financial management’ that Steve repeatedly promises. They would like to ‘respect tradition’ and would like to ensure that the election is not the longest in Canadian history. An earlier election eliminates any possibility of ‘confusion’ concerning third-party attack ads that are crushing Stephen Harper in the polls. He wants to avoid the accusation of draining the coffers of opposition parties ‘unfairly’, masking what I believe to be the real truth: the Conservatives don’t have as much money as everyone thinks. Being the cynic and despot that he is, he’ll call an election just after Labour Day because no one will be around or they’re dropping off kids for first day of school. It might even play into the hands of pissed off parents who could potentially be in the middle of a teacher’s strike in Ontario in September. The Liberals AND NDP will not look good if this happens, resulting in advantage Steve. It’ll help him avoid a new wave of questioning with the Senate scandal, dodging tricky questions about Nigel Wright, Patrick Brazeau, Mike Duffy, Pamela Wallin and others that would otherwise stall the Conservative campaign. Finally – and most importantly in my view – Stephen Harper will act on long cooked plans to screw the opposition in the upcoming media war. Yes, I said Steve may be the only one who knows the actual date, but it’s likely that his media buyers have been aware of the actual date for some time, booking TV, print, radio and magazine ads in the middle of summer … when no one else is buying them. Cheap, available, prime spots. Nothing the opposition will get. All of the other parties – thinking the ‘fixed’ election date was genuine – would have walked into contracts securing media for the latter half of September and October, but guess what? They’ve bought nothing because they’ll have missed the election date by more than a month. The outcry will be deafening, but there will be nothing Canadians can do. Steve will have stolen the election. Again.